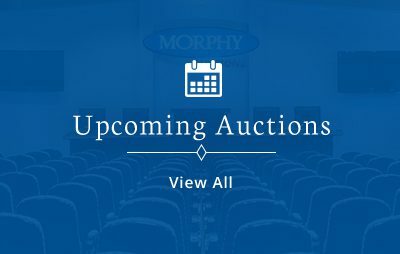 DENVER, Pa. – While Morphy Auctions strives to make each of its sales a special occasion, some just naturally rise to superstar status within the collecting community. That would be the case with Morphy’s Oct. 30-Nov. 2 Premier Firearms, Militaria & Sporting Auction, which has been on the minds of antique and vintage gun enthusiasts since the dates were first announced. The big four-day event spans 350 years of firearms production, starting with a 1675 Dutch flintlock pistol and progressing through our nation’s history at war. Of special note are two well-documented guns of the Old West whose importance cannot be overstated: an 1890s Colt single-action Army revolver that belonged to Dodge City’s fabled sheriff Wyatt Earp, and an 1873 Winchester rifle used by the legendary Chief Rain-In-The-Face. The Earp gun, which has extensive family provenance and documentation, is expected to make $75,000-$100,000; while the rifle belonging to the feared Lakota-Sioux Chief who claimed responsibility for killing General George Custer at Little Big Horn is estimated at $200,000-$250,000. The auction will open with one of the largest offerings of fully automatic weapons ever to come to public auction. “This category is the hottest part of the gun market at the moment,” said Morphy’s Class III firearms expert John Keene. Automatic weapons were once legal to purchase. “Anyone could go into a hardware store and buy a Thompson machine gun for $200, but with the rise of Prohibition, law enforcement discovered that criminals had better firearms than they did, so from then on, Class III weapons had to be registered,” Keene said. He also noted that a wave of machine guns entered the ranks of private ownership after each of the 20th-century wars, when soldiers returned home with them. Over many decades and for a variety of reasons, the number of Class III weapons legally available for purchase and registration has dwindled dramatically. “On the other hand, collector interest has only increased, so they’ve become very desirable. That’s why we think the machine guns in this auction will bring outstanding prices,” Keene said. Among the top highlights is an exceedingly rare US Westinghouse Browning .30-caliber World War I tank machine gun on 1918 tripod. It is one of the very first American-made machine guns designed specifically to go on a tank and is one of only two in the original configuration with proper registration for private ownership known to exist. Its estimate is $30,000-$50,000. A rare Colt Model of 1919 water-cooled machine gun, accompanied by a correct Colt commercial tripod and accessories is entered with a $30,000-$50,000 estimate, while a 1944 German World War II Mauser MG42 machine gun with Nazi proof marks, built to fire 1,200 rounds per minute, could reach $35,000-$55,000. A grim history accompanies the Colt Model 1924 automatic machine gun whose serial number confirms it was used by prison guards at the notorious maximum-security Sing Sing prison. “The guards would test-fire their guns every month to discourage prisoners from trying to escape,” Keene said. Estimate: $30,000-$50,000. A new, unfired Maremont M60E3 machine gun is also estimated at $30,000-$50,000. Around 80% of the sale consists of exceptionally high-quality factory-embellished and/or historically significant Colt revolvers and early Winchester lever-action rifles. “All of the guns are from private collections, and there are many unusual examples, like the only known consecutively-numbered pair of Winchester Model 1893 riot shotguns,” said Tony Wilcox, Morphy’s expert on Colt Winchester and 19th-century militaria. In the antiquarian-book world, nothing trumps a first edition, and it’s no different with rare firearms. “Number one is hard to beat,” said Wilcox, pointing out two irresistible auction entries. Lot 362, a Volcanic pistol carbine, was technically the first cartridge gun ever produced by Winchester. Bearing Serial No. 1, it is estimated at $17,500-$27,500. Lot 337, a lavishly engraved Colt Berdan trapdoor rifle, Serial No. 1, was the first cartridge rifle made by Colt. Estimate: $50,000-$75,000. “The phone calls on both of these guns have been nonstop,” Wilcox noted. Also worthy of special mention, an extraordinary Colt 1849 pocket percussion revolver encased inside a book was a presentation item bestowed by Samuel Colt himself. “It is the absolute rarest of all Colt presentation items,” said Wilcox. Estimate: $100,000-$150,000. It is unusual to encounter even one German-made Borchardt semi-automatic pistol at an auction. Morphy’s will offer four examples in its Oct. 30-Nov. 2 sale. 4. Many other exquisite rarities are waiting to be discovered, as well, such as an 1862 New Haven Arms ‘Iron Frame Henry’ rifle, Serial No. 262 and one of fewer than 90 believed to exist, $85,000-$100,000. The Oct. 30-Nov. 2, 2018 Premier Firearms Auction will start at 9 a.m. Eastern Time at Morphy’s gallery in Denver, Pa. All forms of bidding will be available, including live via the Internet through Morphy Live. Questions: call 877-968-8880, email dan.morphy@nullmorphyauctions.com Online: www.morphyauctions.com.